Pyongyang, November 7 (KCNA) -- Miguel Mario Diaz-Canel Bermudez, president of the Council of State and president of the Council of Ministers of the Republic of Cuba, who paid a visit to the DPRK at the invitation of Kim Jong Un, chairman of the Workers' Party of Korea and chairman of the State Affairs Commission of the Democratic People's Republic of Korea, left Pyongyang by his personal plane on Tuesday after winding up his successful visit. 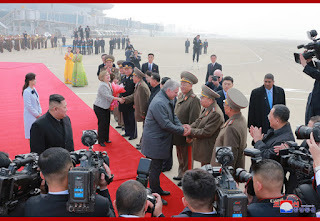 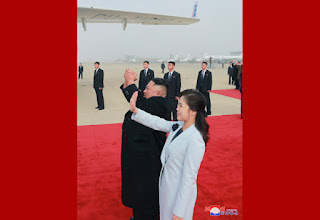 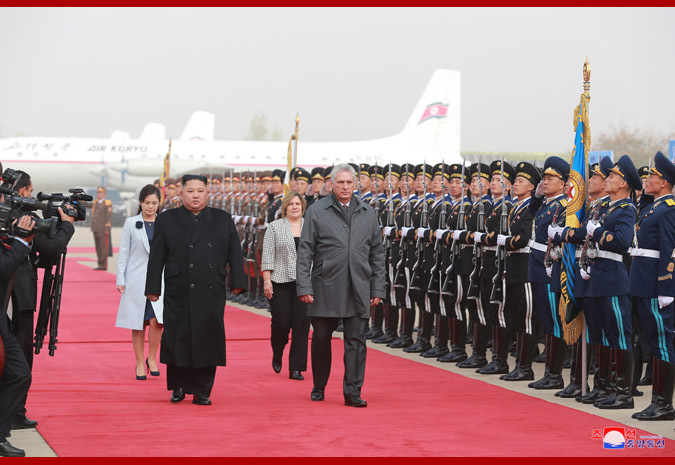 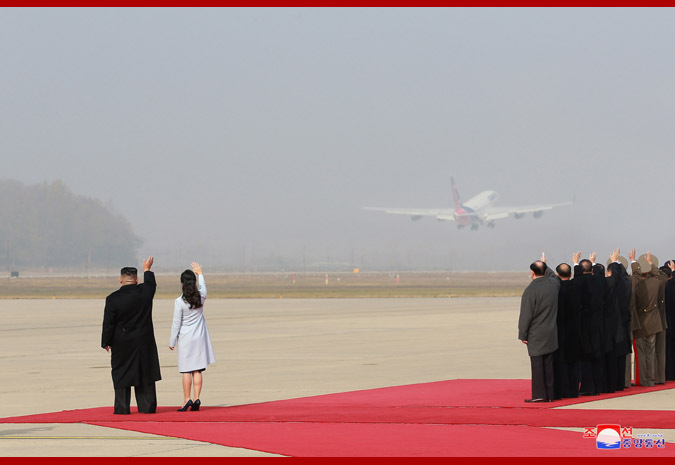 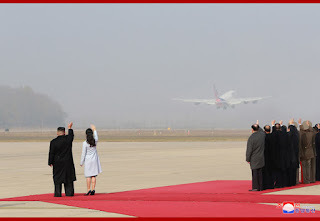 Supreme Leader of the Party, state and army Kim Jong Un came to the airport together with his wife Ri Sol Ju and warmly saw off Miguel Mario Diaz-Canel Bermudez and his wife Lis Cuesta Perasa. 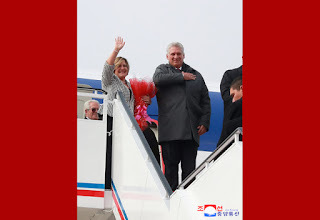 Kim Jong Un and his wife waited for Miguel Mario Diaz-Canel Bermudez and his wife to see them off at the airport. 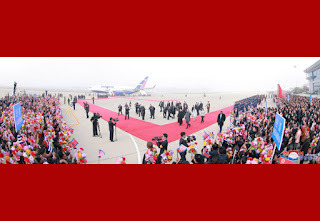 Present at the airport to see off the honored guests from fraternal Cuba were Kim Yong Nam, member of the Presidium of the Political Bureau of the WPK Central Committee and president of the Presidium of the Supreme People's Assembly of the DPRK, Choe Ryong Hae, member of the Presidium of the Political Bureau of the WPK Central Committee, vice-chairman of the State Affairs Commission of the DPRK and vice-chairman of the WPK Central Committee, Premier Pak Pong Ju, member of the Presidium of the Political Bureau of the WPK Central Committee and vice-chairman of the State Affairs Commission of the DPRK, Ri Su Yong and Pak Thae Song, members of the Political Bureau and vice-chairmen of the WPK Central Committee, Ri Yong Ho, member of the Political Bureau of the WPK Central Committee and foreign minister, Kim Nung O, alternate member of the Political Bureau of the WPK Central Committee and chairman of the Pyongyang City Committee of the WPK, Ri Ryong Nam, vice-premier of the Cabinet, and Ma Chol Su, DPRK ambassador to Cuba. After Miguel Mario Diaz-Canel Bermudez and his wife got off a car, the Supreme Leader and his wife exchanged greetings and their inmost feelings, holding hands together. 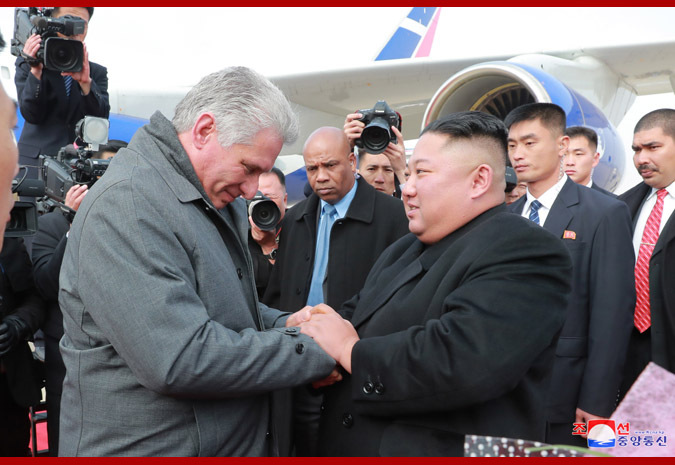 A ceremony took place to see off Miguel Mario Diaz-Canel Bermudez, president of the Council of State and president of the Council of Ministers of the Republic of Cuba, at the airport. 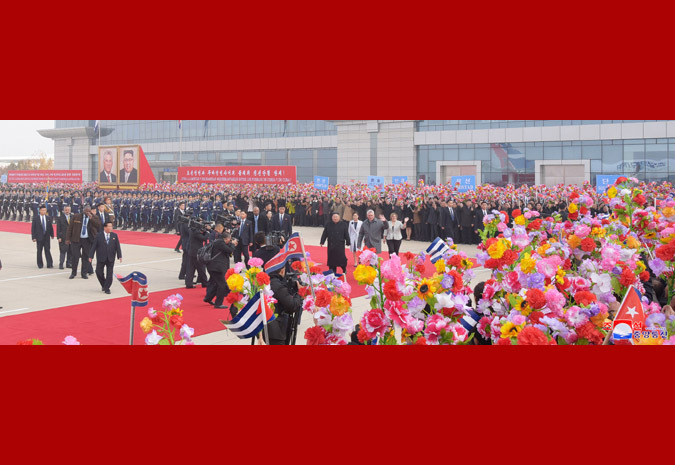 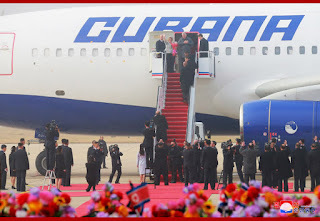 The leaders of the two countries and their wives respectively exchanged good-byes with the members of the delegation of the Republic of Cuba, and party, state and army officials of the DPRK side who came to see off. 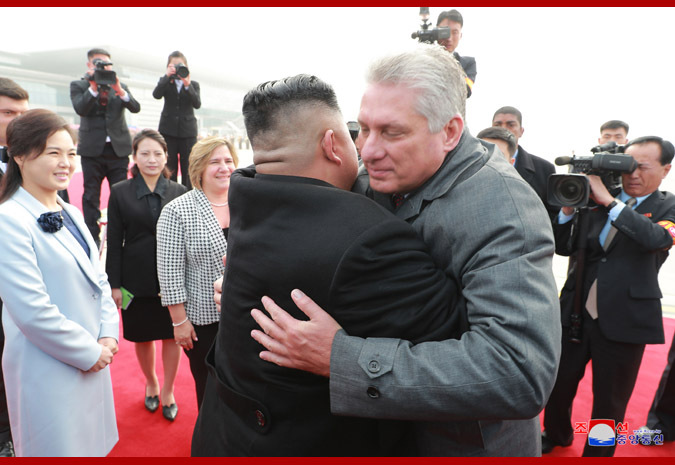 Feeling sorry to part with Miguel Mario Diaz-Canel Bermudez with whom he forged warm and sincere feelings and became closer though the stay was only two nights and three days, Kim Jong Un said that he would look forward to meeting him again and wished him good health and happiness and continued success in his work. 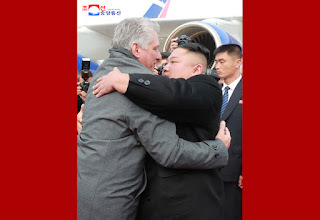 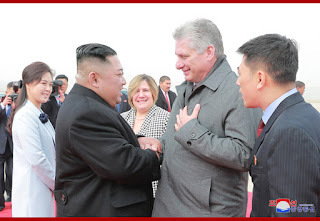 He added that no matter how the world may change, he and the party and the people of the DPRK will always stand by the Cuban people and Miguel Mario Diaz-Canel Bermudez, wishing him safe journey. 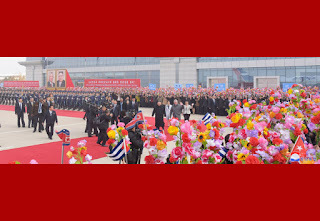 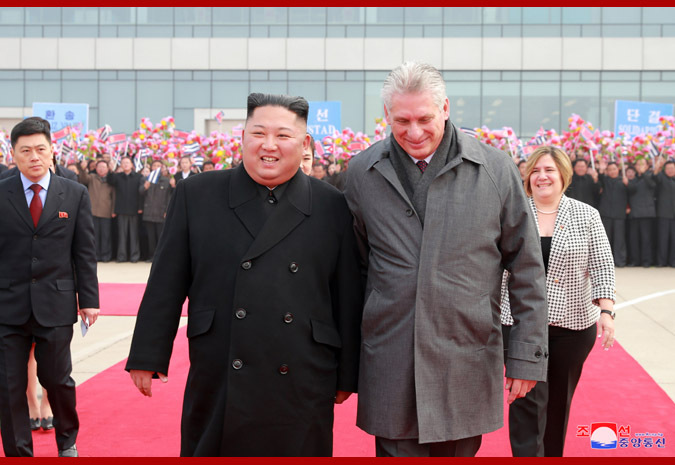 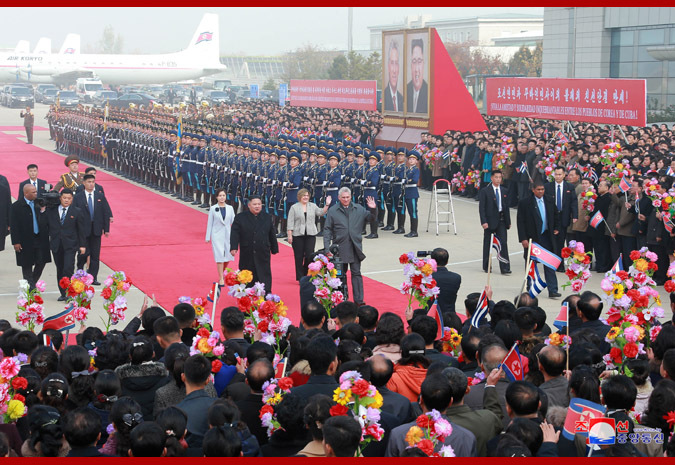 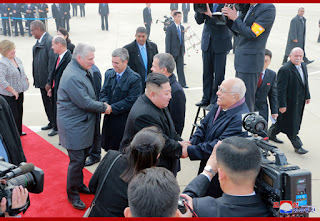 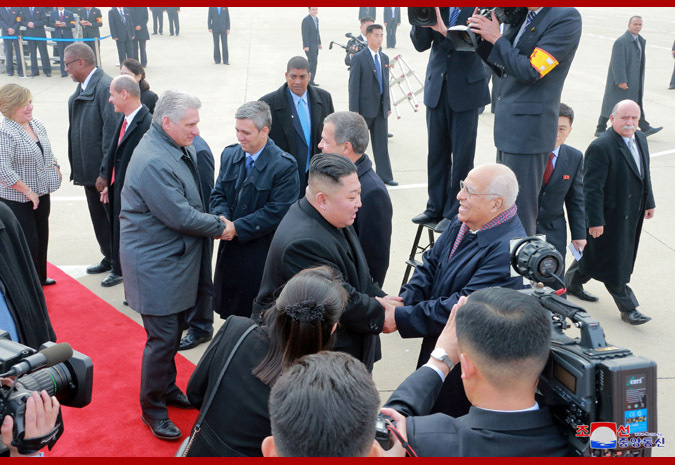 Miguel Mario Diaz-Canel Bermudez said that he could never forget his Pyongyang visit during which he was accorded the best privilege and cordial hospitality, adding that he carries with him the warm fraternal fellowship and the feelings of friendship of Kim Jong Un and the Korean people who showed warm and heartfelt welcome with all sincerity. The leaders of the two countries had firm hand-shaking of farewell and warm hugs, promising to keep holding hands raised under the banner of socialism and keep advancing socialist construction in the two countries along the only road of victory.